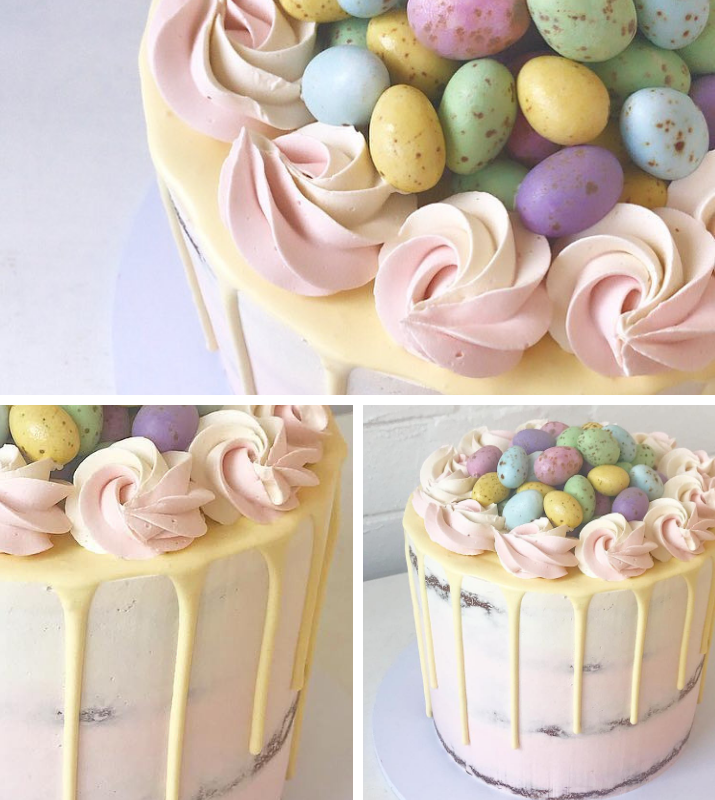 We have collaborated with the very creative Eliza behind a local Collaroy business, Copper Fork Cakes, to create the ultimate Easter centre piece for the long weekend celebrations. 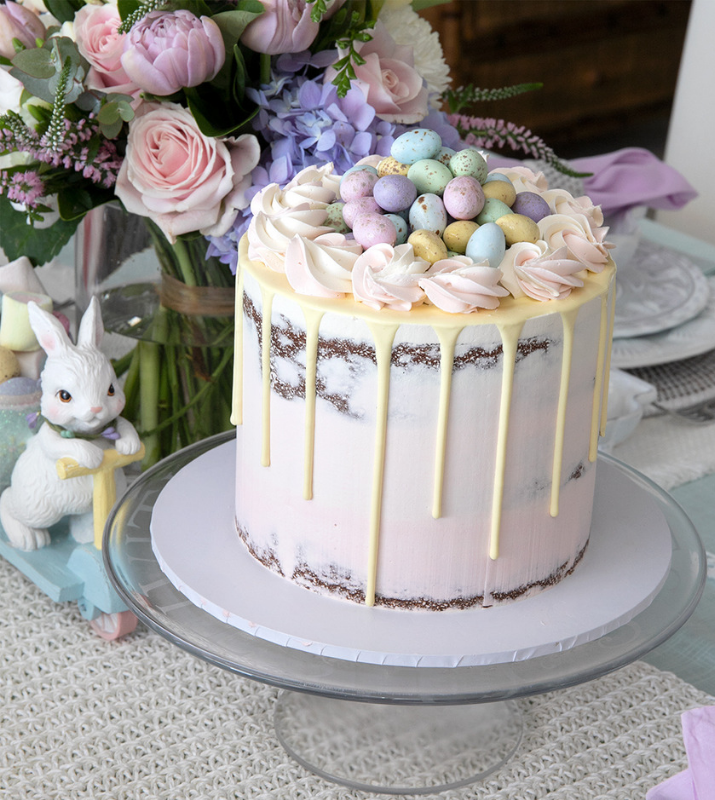 Perfectly tying into our Easter theme this year, her signature semi naked cake is dripping with indulgent buttercream and delicious chocolate speckled eggs. 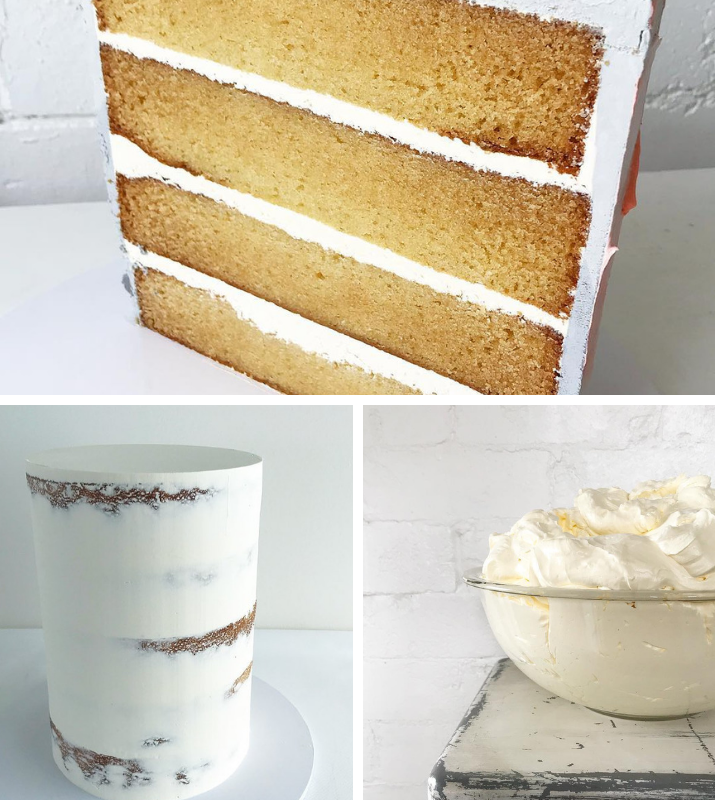 To recreate this look, Eliza suggests you start by finding yourself a good Swiss meringue buttercream recipe and practice making it until you perfect the texture. A level cake is the second most important thing to be able to create that WOW factor, there are no dome cake tops here! And when it comes to deciding on how to style and decorate your cake, Eliza’s best tip is to “think outside the box!” Taking lead from her client’s briefs, Eliza draws inspiration from all sources, specifically interior trends, patterns, textures and colours then translates these ideas into the stunning creations you see on her Instagram feed! Check out her latest work below… trust us, it tasted as good as it looked! Michael and Jan’s recent buying trip to the U.K. happened to fall over the Valentine’s Day celebration and love was definitely in the air! 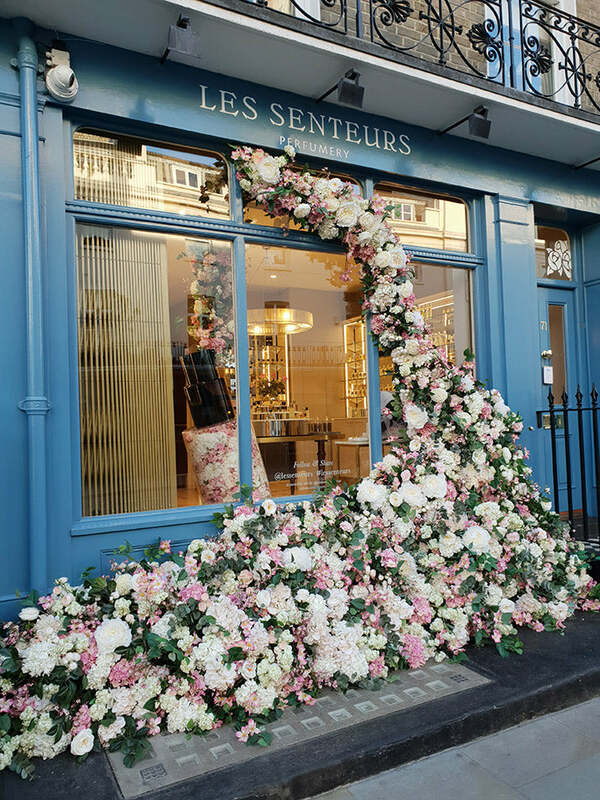 After finishing lunch, Michael and Jan decided to wander back to their hotel, only to accidentally discover the stunning florist’s window displays, featuring the most incredible installations you could ever imagine. 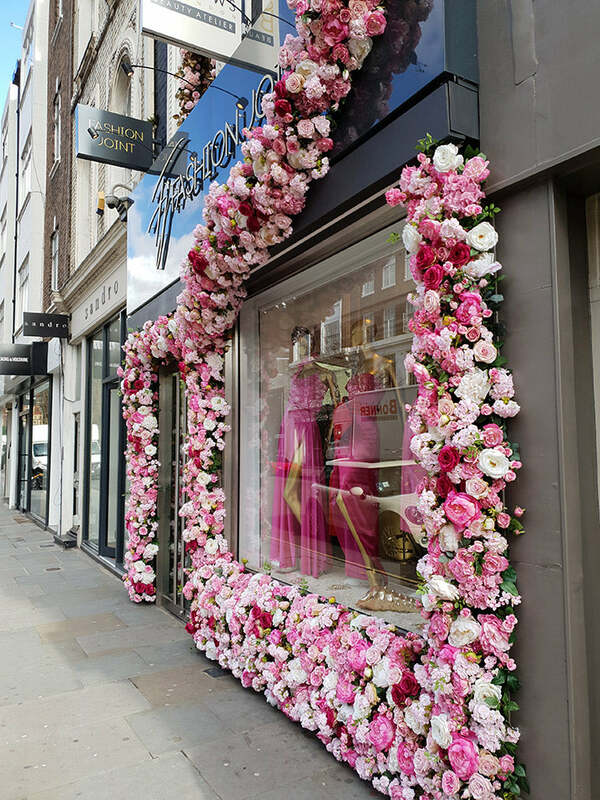 Fresh flowers poured out of the windows and brought this beautiful artistry onto the streets for everyone to enjoy. The installations were beyond what we see in Australia, we are definitely taking note! Along the journey, Michael visited Petersham Nursery; a stunning lifestyle destination that draws its philosophy from all aspects of nature. Brimming with fragrant jasmine, draped in dense greenery and decorated with antique furniture, mirrors and paintings; it is definitely a place worth spending a few hours getting lost in. 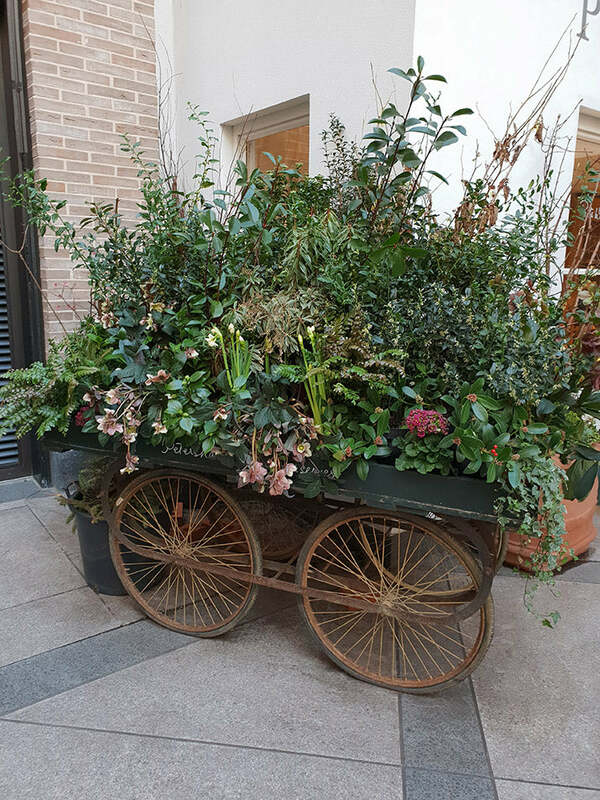 We hope you enjoy some of our favourite floral displays from their trip. 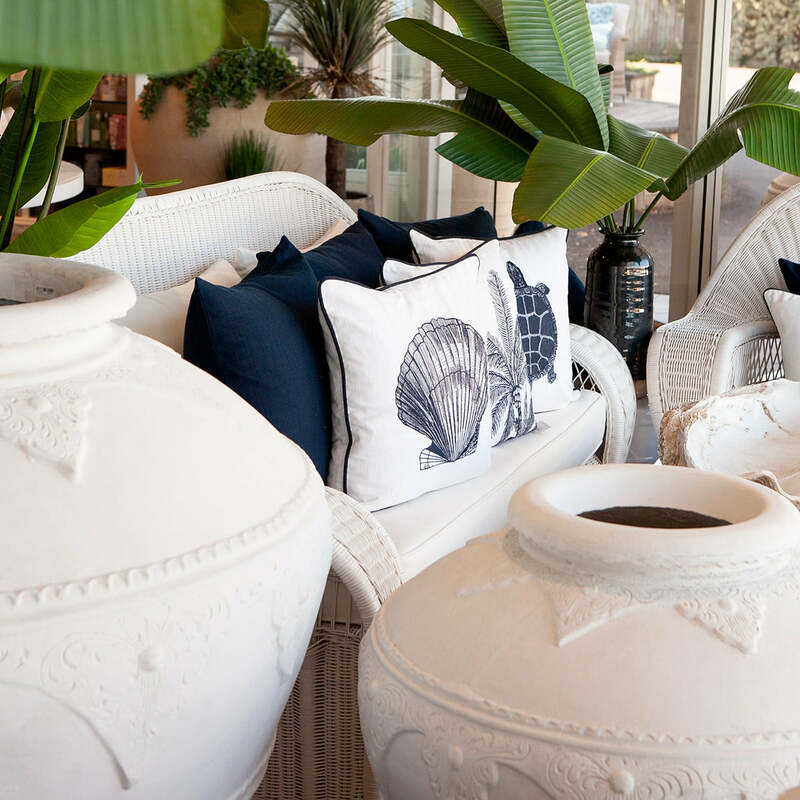 Travelling the globe to source new and inspiring designs for our customers is one of the best parts of our job here at Alfresco Emporium. 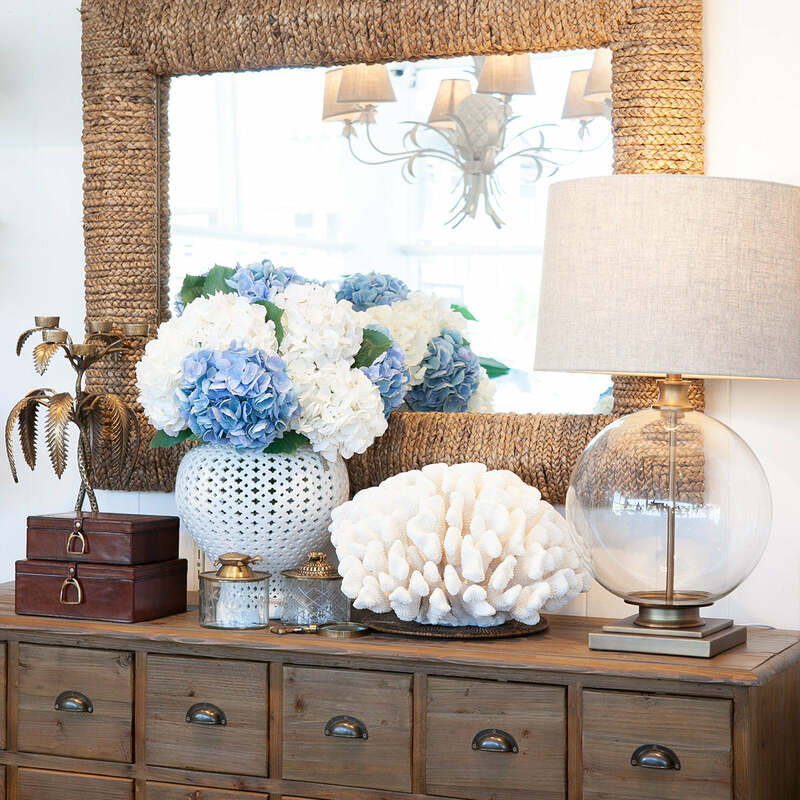 Michael and Jan have returned from their recent buying trip to the U.K. with some wonderful new treasures that we are so excited to share with you in the coming months. 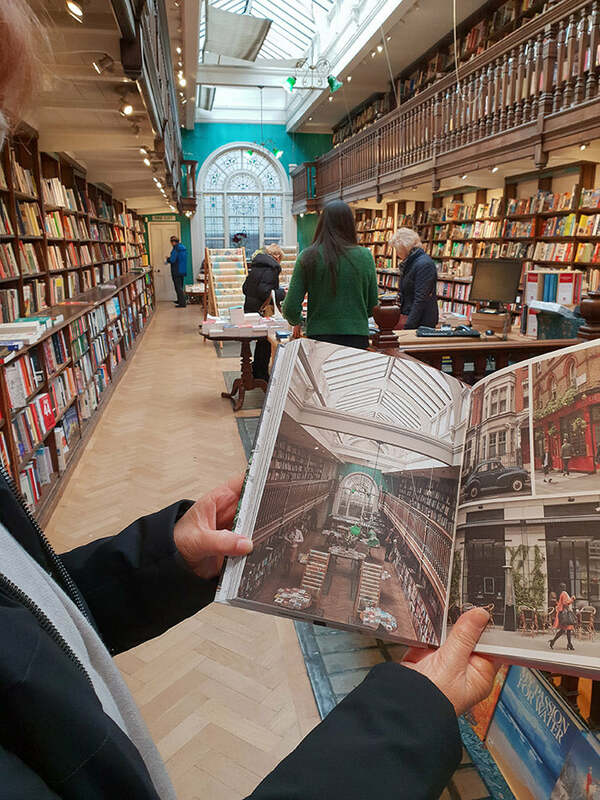 One of those treasures includes the stunning book Pretty City London, which was discovered in Daunt Book Store, a former Edwardian bookshop with long oak galleries and interact skylights. 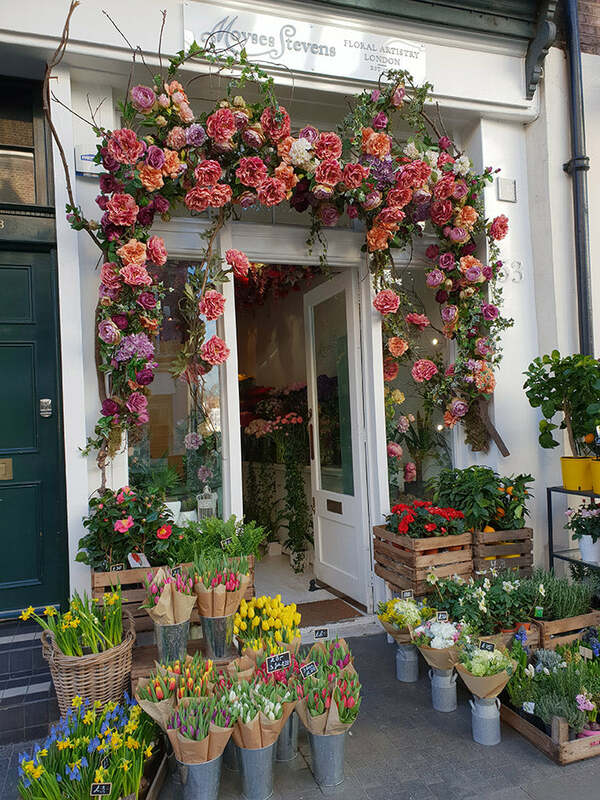 Pretty City London is a travel guide that helps you uncover all the hidden gems throughout London, from flower markets to Instagram-worthy treelined streets. We’ve curated a selection of images fromMichael and Jan’s journey to showcase their inspiration and discoveries along the way. 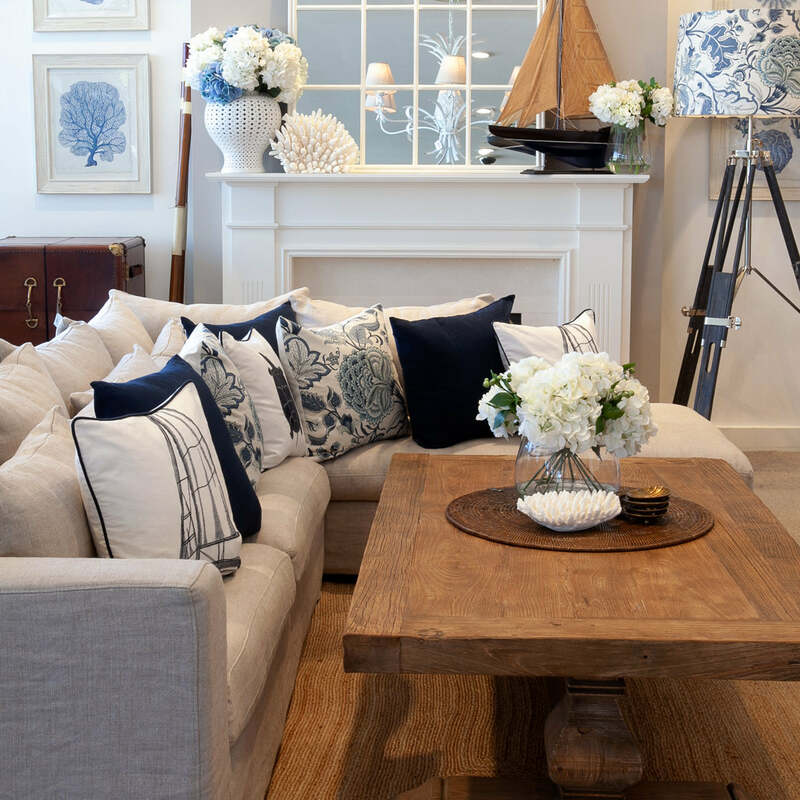 With crisp white rattan, bold navy accents and hints of brass hardware, our Collaroy windows have been reimagined to reflect an inspiring seaside escape. 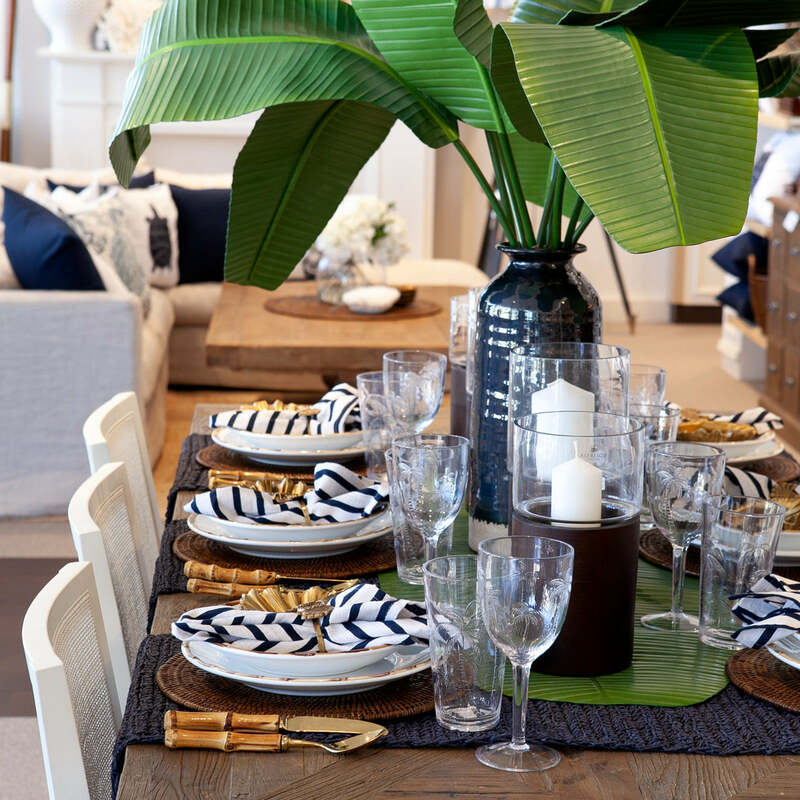 Natural elements of foliage and bamboo further tie our look together to create a refined colour palette for the season. 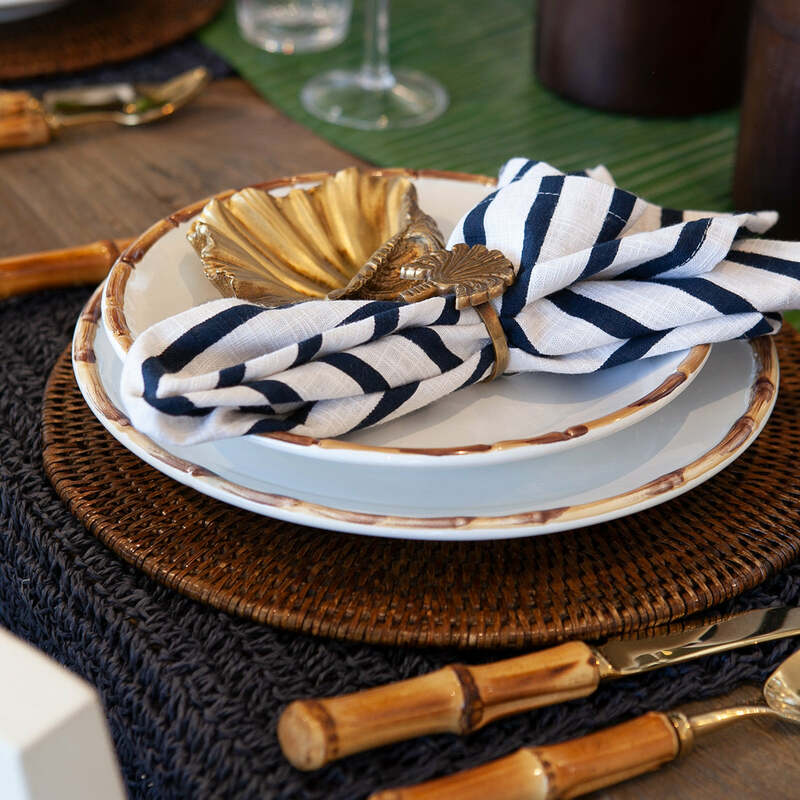 Masculine hints of brass and leather bring instant opulence to any space, while the striped linen featured on our table settings spark subtle gestures of nautical bliss. Discover our gift guide, filled with little luxuries that will make your Valentine swoon. 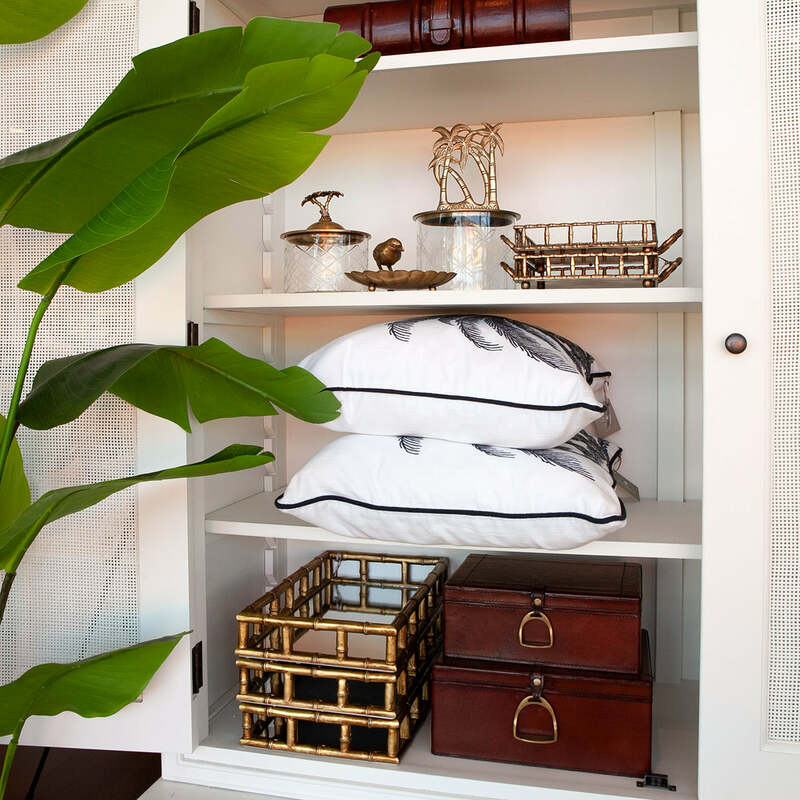 Subtle details leaving a lasting impression. 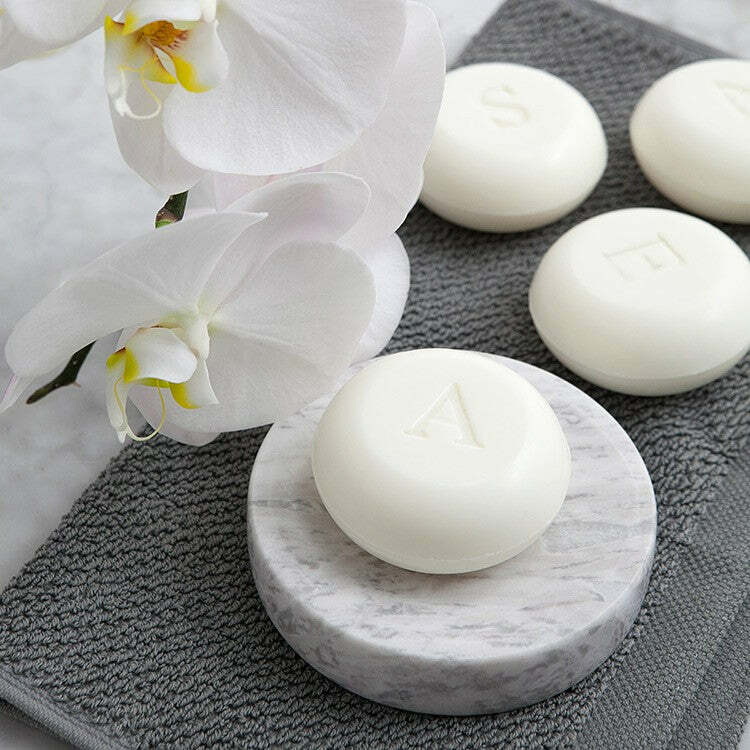 Our true French triple-milled Monogrammed Soap Gift Sets are that little touch of luxury, perfect for the Valentine with an understated elegant style. 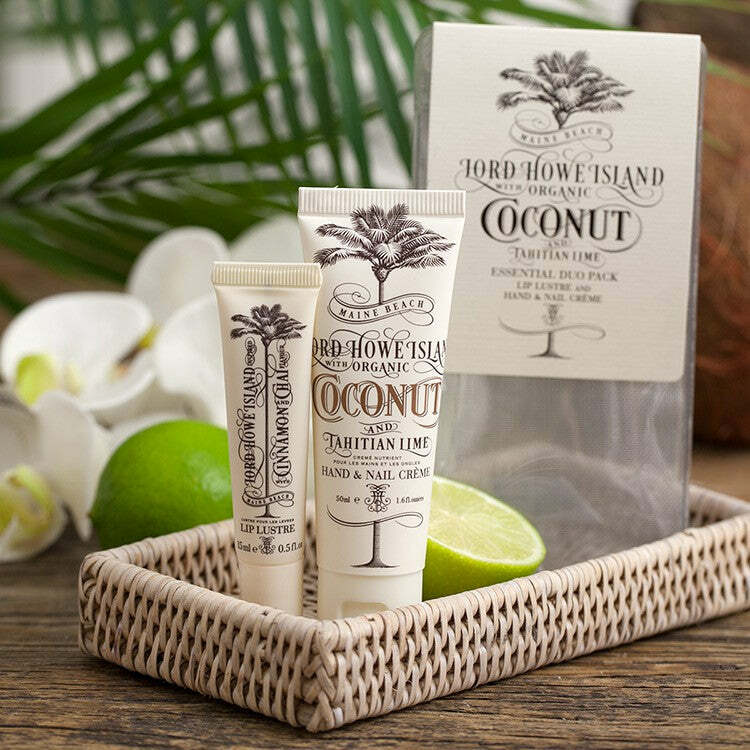 With hints of Tahitian lime and coconut, cinnamon and chai, this perfect gift duo will indulge your Valentine and make them feel as though they are being pampered on a tropical island. 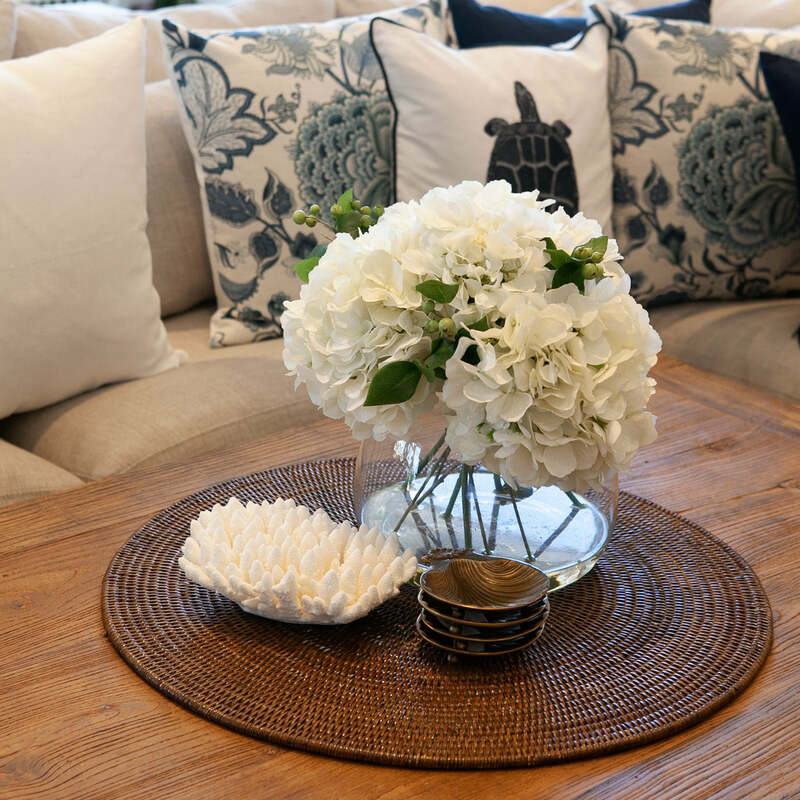 Crafted from raffia, this stunning hat has an extra wide brim and woven hat band. A great summer companion and perfect gift for your Valentine.